With the first version of Owl being published on the Mac App Store, development for the next release is already under way. Version 0.7.0 will be an iterative releasing leading up to the release of a full release of 1.0. We are not planning any major feature additions between versions 0.5.0 and 0.7.0. Mostly version 0.7.0 will include bug fixes and increased stability in the app itself. 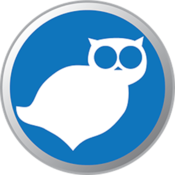 In the next several weeks we will be releasing a Road Map for additional features we’d like to add to Owl for version 1.0 and beyond.